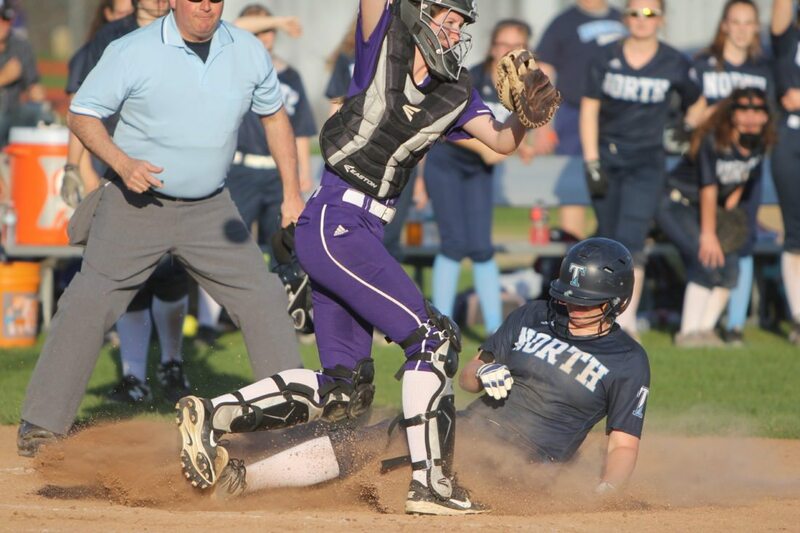 Staff photo by TOM KING Nashua North's Jacqueline Dumont slides into home ahead of the throw to Nashua South catcher Rylee Marchand during the Titans' 10-4 win on Tuesday at North. 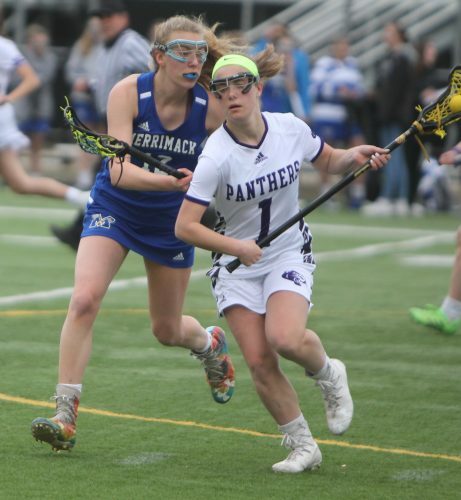 NASHUA – Make no mistake, the Battle of the Bridge brought out the best in the Nashua High School North softball team on Tuesday. And the beast as well. The Titans took the extra base whenever they could in their 10-4 win, and clearly set the tone for the entire game. 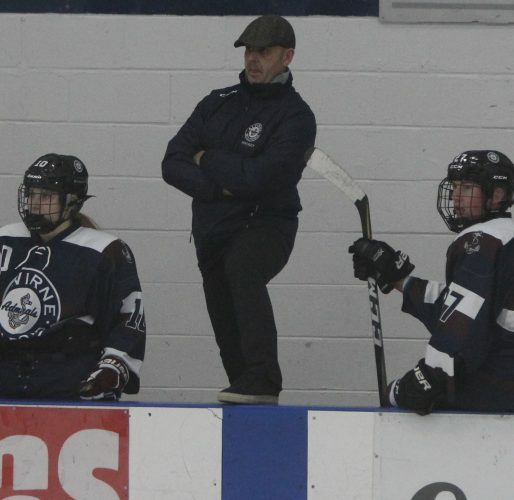 The Titans have won three of four, and are hoping to improve on their 4-5 record to make a push for a tourney berth. On the flip side, South coach Kevin Handy knew what his team would be facing on Tuesday. South, now 3-8, in fact had a 3-0 lead off North and pitcher Emily Blondin, with three quick first inning runs. Delia Callery, Sarah Picard and Amber Dube all scored on an outfield error. North answered with a pair in the bottom of the first (Lizzy Deck RBI hit), tied it in the second (Nicole Perreault RBI groundout) and took the lead for good with two in the third as a Callery pitch got past catcher Rylee Marchand to allow Miranda to score and another came in on a Shannon Grady infield hit. It was still a better outcome for South than the 15-5 pasting they took at the hands of the Titans a month ago. They were down only 5-4 (single and error off the bat of Callery in the fifth) and had the tying run in scoring position with two out in the sixth but came up empty. Blondin, who went the distance for the win, caught Marchand looking to escape. Blondin allowed just six hits. “Our offense, we’ve kind of been cold the last couple of weeks,” Handy said. “And when we’re hitting, we’re not finishing. 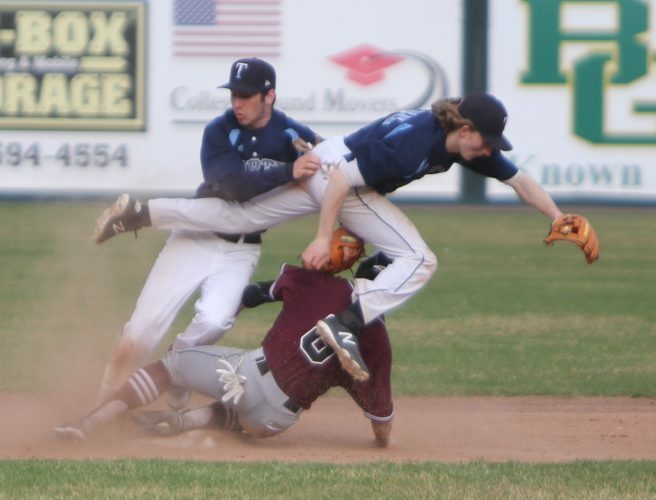 That situation couldn’t be repeated as the Titans put the game away with five in the bottom half of the sixth, as Callery walked and hit a batter with bases loaded and two Panther errors helped three more runs cross the plate. 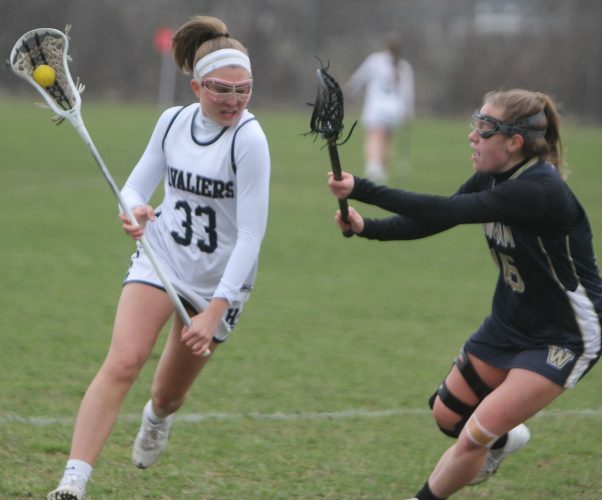 And now the Titans hope to use this as a springboard, but it gets tougher with Pinkerton on Wednesday, Spaulding Friday and Bedford Saturday. That and a good ol’ fashioned Bridge Battle.